The process of straightening hair has been around for over a hundred years but gained real popularity in the 50s. It’s usually achieved via heated irons or chemicals and the technology has changed vastly and very quickly. 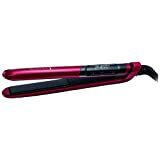 While original metal irons were known to damage hair quite badly, the new era of ceramic and tourmaline straighteners have gone some way to limit the damage and are much more effective. 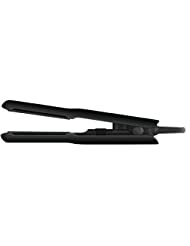 Simply, hair straighteners are electrical tongs with flat plates set into the inside edges. These plates heat up, the hair is clamped in between and the plates are run down the section, straightening as they go. Magic? Not so. Hair gets its shape from the hydrogen bonds within it and heat changes how those bonds behave. When heated, the hydrogen bonds relax and the hair becomes flat and straight with the help of the pressure and shape of the plates. Essentially, the hair becomes mouldable when combined with heat and pressure. Because the hydrogen bonds reform when exposed to moisture, hair straightening will only last until you shower, or go out in the rain! Because the hair straightening industry is so huge now, it can be pretty confusing when faced with all the spiel; ceramic this, tourmaline that, nano something or infused with something else. What does it all mean? 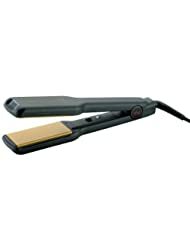 Back when ceramic first started to be used in hair straighteners, it was a big deal and only existed in the top brands. Now, it’s almost exclusively used in the plates by everyone but in different thicknesses. Some plates are pure ceramic, some cheaper ones are only ceramic coated. 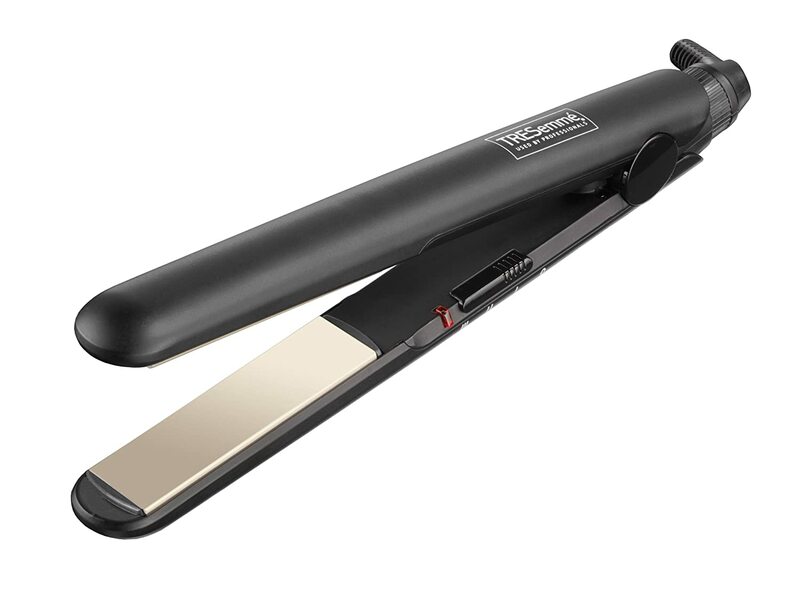 The basic benefit of ceramic over older style metal straighteners is that not only do they straighten better, they also do it faster and with less damage to the hair. Ceramic creates negative ions when it’s heated and this allows for a much more even heat throughout the plate and a more efficient straightening process. In turn, this limits the time hair is heated for and reduces the damage. Ceramic straighteners, unlike metal plates, use infrared heat to get into the hair fast and change the bonds in a much more healthy way. 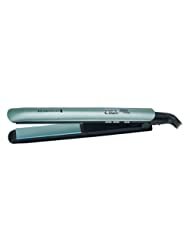 Older metal straighteners apply heat to the outside in a much more damaging fashion. Although using ceramic hair straighteners is considerably less damaging than metal ones and leads to fairly healthy hair, extensive daily use for long periods of time can still cause damage, beginning with split ends. Tourmaline is a semi-precious metal with a propensity to produce negative ions, even more so than ceramic. For this reason, it is increasingly being used in straightening plates where it’s infused into the ceramic. The benefits of a tourmaline/ceramic mix are a greater version of ceramic alone, i.e. heat is spreads more quickly and more evenly meaning hair needs shorter exposure to heat in order to straighten. Less time heated = happier hair. Some brands of hair straighteners add in additional materials to the plates in tiny amounts, usually to attempt shinier, healthier and smoother results. Some of these, such as pearl and Moroccan oil are gaining in popularity but whether they actually make a noticeable difference isn’t quite established. Aren’t all hair straighteners the same? No, and it’s actually pretty important to find a set that suits your hair type. Because hair is not living, it needs to be carefully looked after to prevent breakage, dullness and outright damage. Although the days of destructive metal hair straighteners are basically over, there are still plenty out there with too thin ceramic coats and too high heats, just waiting to frazzle your locks. Once hair is damaged, it is very difficult to repair. 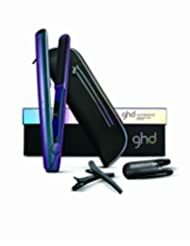 How do I find the best hair straighteners for me? First you need to work out what you want the hair straighteners to do. Straighten? Okay that’s kind of obvious, but there are actually a lot of products out there which are also good for waving and curling your hair too. If you want the whole package, look for straighteners that have rounded barrels like the fantastic GHD IV Styler. If you only want to straighten your hair or want separate curling tongs then you’ve definitely got a wider choice of straighteners. Either way, you need to know what the look is you’re trying to achieve. Now you’ve got to think about your hair. Is it thick and durable? Is it fine and sensitive? Is it impossible to control or just has light waves that you want to flatten out? Do you have long hair? Or short hair? If you have thick or difficult hair, a high quality straightener with a decent top temp of around 200 degrees is pretty crucial. It needs to have excellent quality ceramic or tourmaline plates so that it can evenly distribute the heat quickly to deal with your troublesome locks. If you have fine hair though, it’s a different story. Fine hair can be easily damaged by high heat and you need to look at straighteners with at least two temperature settings, preferably more. This means you can use perhaps 180 degrees on fine but wavy or curly hair and then switch is down to 160 when you just need a touch up. Digital displays and dials work really well for this control because you can see exactly what heat you’re getting. A lot of straighteners simply have a low, medium and high setting which is less helpful. If you have thick, long hair, then wide plate and full size straighteners are your best friend. Those with shorter hair though may find long straighteners a pain to use and there are shorter and micro straighteners on the market that are much more manageable. If you plan on going on holiday or doing a lot or travelling, then you can get smaller hair straighteners that can cope with longer hair too. These are great for travelling and home use on short hair, but may frustrate you to use them daily with long hair. 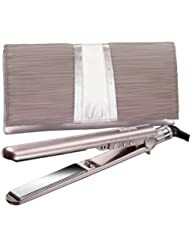 Lastly price, and it is lastly because hair straighteners are an investment. While it can be tempting to opt for the lowest price bracket and hope for the best, this isn’t eyeshadow we’re taking about, these tools have the power to help or destroy your hair. Some of the best models out there are around £70-£90 but bear in mind that these should last you upwards of five years! If you’re using them every day or at least regularly, you need to be looking at hair straighteners that are really designed with the customer in mind, not just to fill a product range. Saying that, there are some great mid-range hair straighteners that won’t make you grimace at the cost but will also give you silky, beautiful hair for years. Sounds like a minefield? It’s okay; we’ve reviewed them for you! 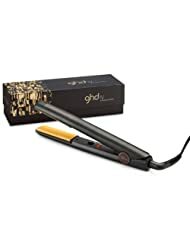 GHD have been the best of the best for some years now and this ghd IV Styler certainly doesn’t let the reputation slide. It features a rounded barrel allowing for not only beautiful straightening, but also waves and curls with no hint that they’ve been created with a straightening iron! 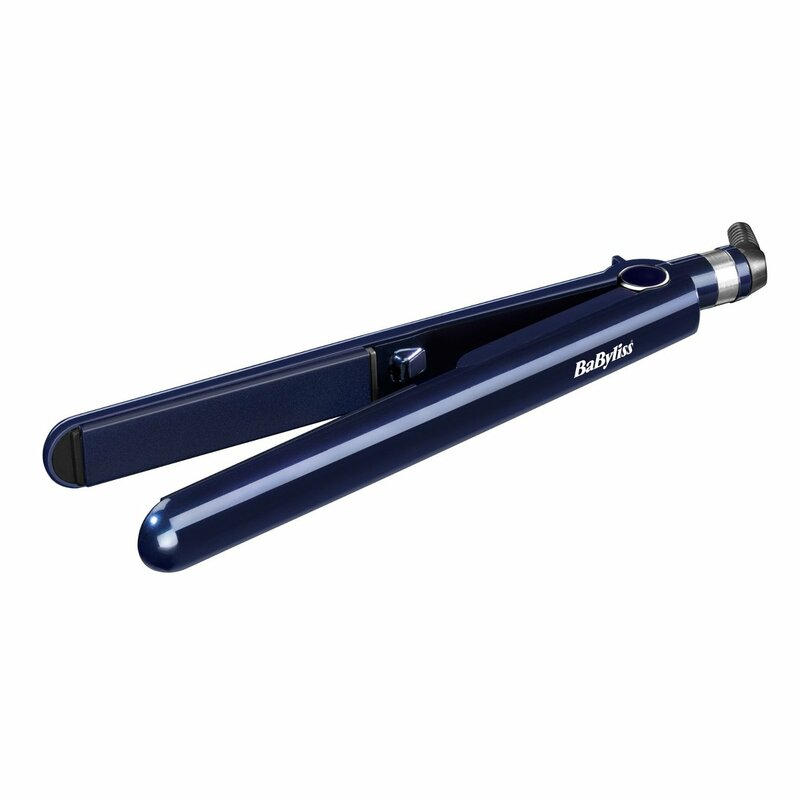 This straightener heats up super fast and glides easily through the hair with no pulling or snagging. You only need to go over hair once for long-lasting straightness, which helps to keep hair sealed and happy. 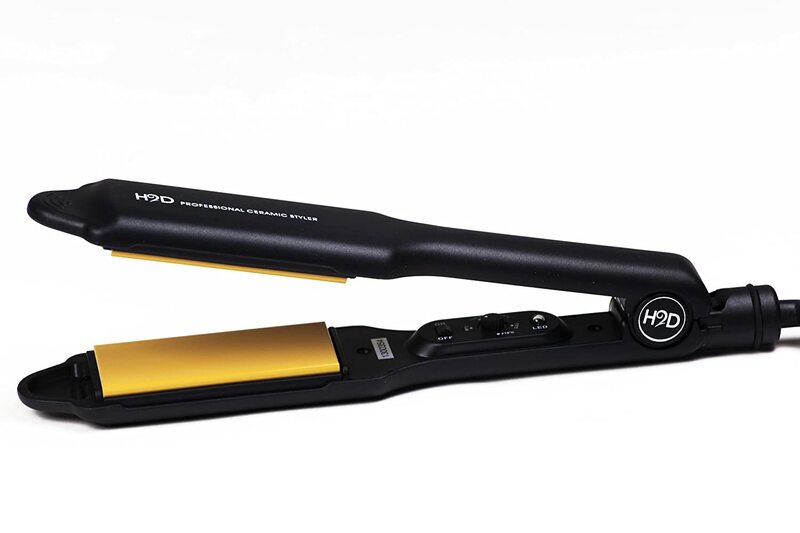 GHD loves being at the forefront of hair straightening technology and this iron features ‘Shiver Mode’. 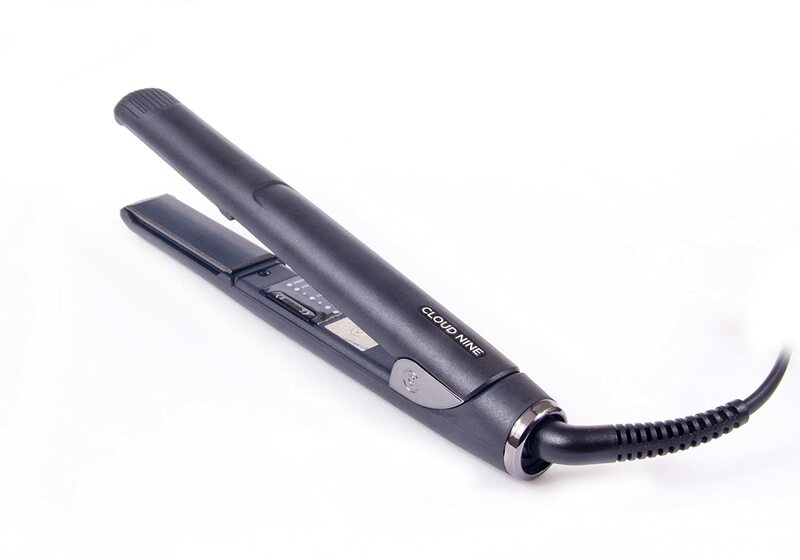 Kicking in when the immediate air temperature falls below 8 degrees, it shuts itself off until the temperature rises – preventing condensation from forming within and breaking your precious straighteners. It has a 30 minute auto shut-off feature plus worldwide voltage and has static-free ceramic plates. This tool is packed full of tiny features that combine to make a truly trustworthy item and I challenge you to be disappointed. 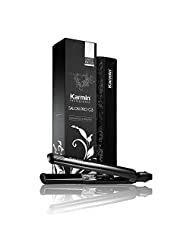 Although pricey, this product should last you for years and save you time and money in the short and long term as it’s makes straightening incredibly fast and helps protect your hair from heat damage. 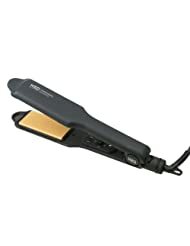 If you’re looking for the king of hair straighteners, this is probably it – and its curling ability is a fantastic bonus. These straighteners are aimed mainly at those with thick, long hair and the 40mm wide plates allow for more hair to be straightened at a time. Coming from the relatively unknown H2D, I was really impressed by these and they glide through hair easily with fantastic results. The temperature controls on these straighteners are really useful too and you can dial between 80 degrees and 210! This means that whatever your hair type, you won’t damage or stress it because you can choose the perfect temperature for your individual hair. I don’t know why more straighteners don’t have such an impressive range of temperatures but it’s nice to see this feature in such a high quality product. 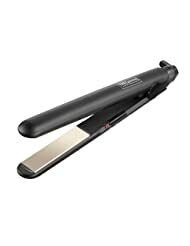 A little bulky, these straighteners won’t win any awards in the looks department and don’t have that sleek, luxurious feel that you see in Cloud Nines and GHDs. Nevertheless, they do make your hair super sleek and that’s the aim right? You can try using these for waving or curling but to be honest, they’re not really up to the task which means you’d probably need to invest in a separate curling iron if you want both looks. Made with Tourmaline and ceramic, I have to hand it to these, they do increase the glossiness of hair somewhat and they’ll straighten your hair almost as fast as GHDs will. A good deal cheaper, if you have unruly thick hair, you may well find that these are the tools to tame it. It’s taken years but finally it looks like someone may have come along to knock GHD off its established podium. 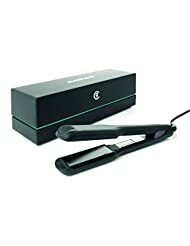 Cloud Nine have produced here a truly luxurious hair straightener and the quality in undeniable. 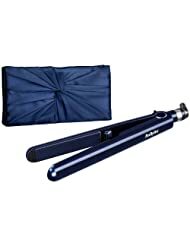 These straighteners are sleek black with black ceramic plates and a long swivel cord. They have an adjustable temperature and seem to straighten easily as well as GHDs but on lower temperatures, which means less damage to hair. This is really the golden aim for all brands of straighteners – to create a flawless look without the savage heat. With no snagging or pulling at all, hair passes smoothly through the plates and is immaculate after just one run through. The results will easily last into the next day, even until you next shower. They heat up very quickly and the temperature changes quickly when you want it to, allowing for fast straightening when you’re running late. Because of the high quality plates and the highly effective straightening action, this iron leaves your hair looking glossy and shiny while limiting the chances of split ends. If you could ever call hair straightening healthy then it’d be with these. Okay, okay so the price is pretty high but Cloud Nine may well convert you. 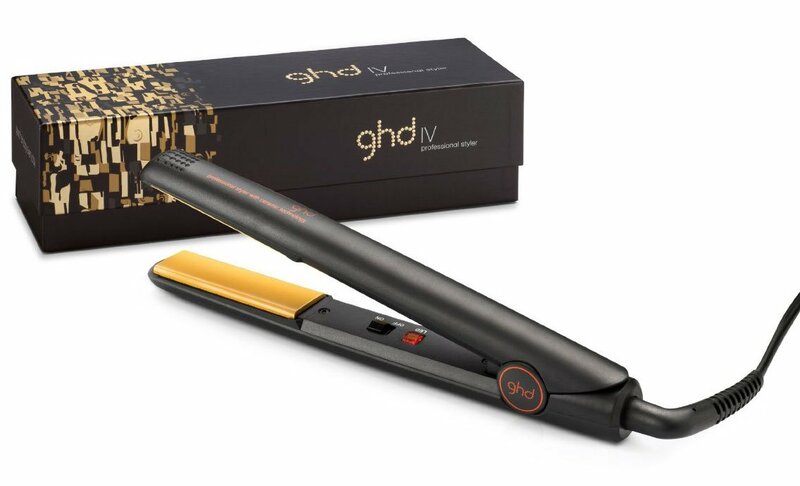 I love these straighteners but at the end of the day, if you want exceptional quality at a slightly lower price, the GHD IV Styler may suit you just fine. TRESemmé have built their brand on ‘salon quality’ products and so it’s not surprising that they’ve produced a very high quality straightener for such an affordable price. 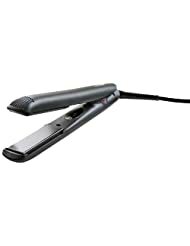 Sleek and well designed, this iron heats up within fifteen seconds and thanks to its ceramic plates, straightens hair with an even heat. It has three heat settings, which should be enough for most hair types and hair is certainly smooth afterwards. It has a 72-minute shut off feature which, to be honest, I find a bit bizarre. Although these straighteners do take slightly longer to straighten than GHDs or Cloud Nines, 72 minutes is a long time for them to be on. This is in comparison to GHDs which typically have a great 30-minute shut off time or the new Cloud Nine Touch Straightener which turns itself off when it’s not being used! As a safety feature, I don’t see how 72 minutes is particularly good. Forgetfulness aside, these straighteners do what they say on the tin and if you don’t want to be spending tons, they’re not a bad purchase at all. Working even on unruly hair, you shouldn’t find it too difficult to achieve the sleek, straight look you want and the results should last all day. BaByliss are always pretty reliable at providing good products without the price tags of the luxury brands and they’ve been in the hair straightening industry for years. I’ve had good experiences with BaByliss straighteners in the past and this Elegance model is a sleek new edition. 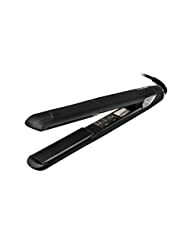 With a long swivel cord, this straightener will follow you around the room to the mirror without much trouble and it has a shut off time of an hour, which is pretty standard but still a little long for my liking. The adjustable heat settings are for 180, 200 and a huge 235 degrees, so should suit all but the most sensitive hair. I’m a big fan of brands that offer lower temperatures of around 150 but this is still good for the price. True to its advertising, it does give a frizz-free finish and hair doesn’t seem stressed or damaged by the plates. There’s no snagging at all and although I wouldn’t say it has the truly easy-glide feel of GHDs, it’s still a pleasant process. This is a really solid product from the mid to low price range and if you’re not fussed about having the luxury brands then you’ll be just fine with these. It may take slightly longer to straighten your hair then perhaps the Cloud Nine range or GHD but you can still get smooth hair and it’s even possible to curl with these if desired.